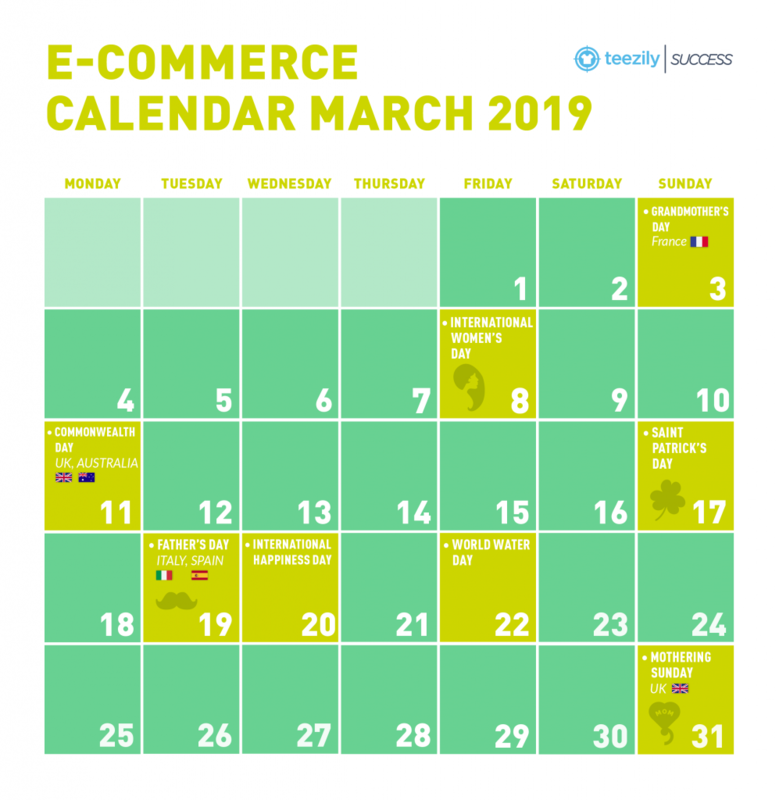 International events such as St. Patrick’s Day or International Women’s Day, the beginning of Spring, Father’s Day in Italy and Spain, and Grandmother’s Day in France and so much more: March is indeed one of the best month for e-retailers and sellers, because it offers many opportunities to target international customers. Take a look at our calendar suggestions to make the most out of the Spring selling season! St Patrick’s Day is celebrated in many parts of the world, especially by Irish communities and organizations. Many people wear an item of green clothing on the day, with funny printings about "beer", "irish pride" and shamrocks. Parties featuring Irish food and drinks that are dyed in green food color are part of this celebration. Other Irish-related symbols seen on St Patrick’s Day include the harp, which was used in Ireland for centuries, as well as a mythological creature known as the leprechaun and a pot of gold that the leprechaun keeps hidden. 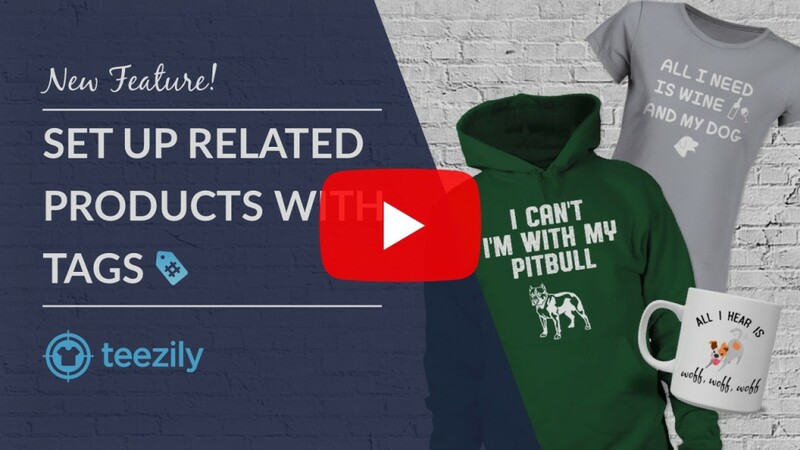 Well, you can "go green" with a nice design with several "irish" symbols and launch your all-over hoodies collection: we are sure that your customers will appreciate your trendy products. On March 19th, people celebrate Father’s Day : la Festa del Papa in Italy and el Dia del Padre in Spain. We would love to remind you that Italy is one of our 5 top markets, therefore we strongly suggest you to set your ads on fire and promote italian campaigns about "papà" (or "babbo", as people from Tuscany call their dads!). Nonetheless, the brand new Cross-sell feature can easily help you to sponsor other related products, especially if you are tagging this products with references like "dad", "family", "son", "parenting" and so much more. Indeed, this feature can easily help you to target specific country as we will showcase amongst the "Related Products" campaigns with the same language description. You should definitely use Upsell & Tags to increase your average cart value. Imagine complementary products: a T-Shirt for Dad + a T-shirt for his Son, or Mug for Daughter + a Mug for Dad. 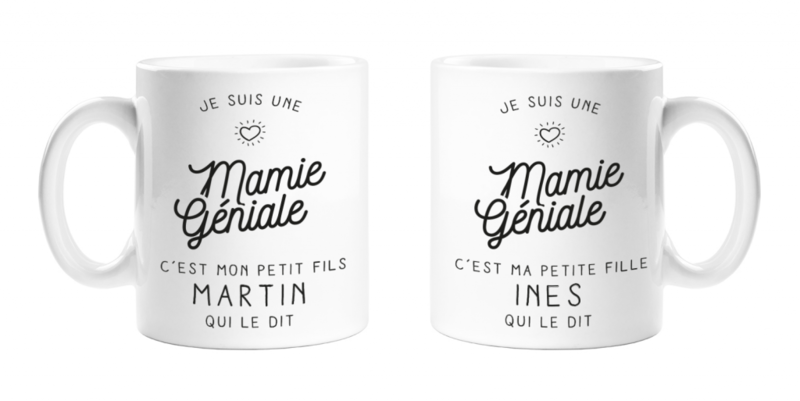 We fully believe that these tools can be also helpful for other international / national events, such as Mothering Sunday in the UK and Grandmother's Day in France. Just think about "Couple campaigns" : they can also be an outstanding idea to double your profits. You hust need to find two design ideas that can easily match each other and ... bingo ! International Women's Day​​ is a global day celebrating the social, economic, cultural and political achievements of women. The first IWD was run in the UK by the Suffragettes in 1911: the movement has been around for more than a century!​ And it is celebrated all around the world. Have a look at our suggested designs, and please bear in mind that certain events may have official names, logos, and slogans that have been trademarked. Remember to avoid using any sort of trademarked, copyrighted, or official graphics associated with these events in your designs. You should also avoid using any titles, reference or language which could lead users to believe that your campaign is officially licensed or associated with the organizers of the event.